Organic search engine optimization (SEO) is the foundation to your software company’s digital marketing efforts. Organic search is at the core of our BlueGreen Digital system. Software companies all face the same challenges with digital marketing. 3) How to drive quality leads to the sales team. All of our organic search campaigns solve these challenges. We craft custom search engine optimization (SEO) campaigns to increase your sites organic rankings, your search engine result placements, and your website conversion rates. Many vendors apply one-size fits all approach, simply assuming their strategy will result in success for your software company. This is simply not the case. After almost twenty years in the organic search market, our founders have learned how to maximize results (your ROI) for our software clients. Every campaign begins with a full website audit, where we create a benchmark of where your software website is today. We do so with a hybrid model addressing both on-site and off-site optimization. Keyword research: We provide ongoing keyword analysis and identification specific for software companies. Page title, description, and meta tag optimization: We optimize your website’s page titles, descriptions, and meta tags to enhance user experience and improve the searchability of your software company content. Maximize Search Engine Indexing: Our team will ensure that search engines can easily locate and crawl existing and new content across your software company website. Our solution regularly audits the entire site to identify issues that limit the search engine indexing of content. We create and regularly submit updated XML sitemaps to Google and Bing. Site architecture and Linking Analysis: Our team audits the architecture of your website to eliminate internal linking problems and identify areas to improve. The end goal is maximum indexing of content on your software company website while maintaining the experience for your visitors. Multimedia content optimization: Our team will regularly optimize both static images and videos on your software company website to ensure that they can easily be indexed by search engines. The primary on-going work in our BlueGreen Digital Software Company Strategy is off-site optimization. Our blueprint involves a wide range of off-site (also called off page) techniques to enhance content visibility. The end goal is to drive page 1 rankings for all of your specific keyword terms and phrases. Local Citation Building – While most software companies are not targeting a geographic marketplace, it is still important to address the citation. Our team will build a strong base of local citations improving visibility of your name, address, phone, and website URL. 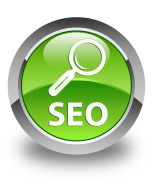 This will improve the overall trust factor of your software company in the search engine. Social Media Optimization – Virtually all of our clients already have established social media pages. While this is a great start, almost every one of them lacked strong optimization around target keyword(s) and keyword phrase(s). Our team will optimize pre-existing social media pages and create new ones if required. Content Creation: Regularly published new content is critical to the long-term success of your organic campaign. Link Building Strategy – Backlinks to your corporate software site are still a very strong factor in the success of the overall organic search campaign. Our team will get the quality inbound links needed to boost your software company for target keyword(s) and keyword phrase(s). Video Targeting and Optimization – While we are not a video production firm, our team has long recognized the value in leveraging all content that our software clients generate. Over the last 5 years, there has been a significant shift towards video content. We will optimize and rank videos as additional assets to support the overall campaign in both Youtube and Google Videos.